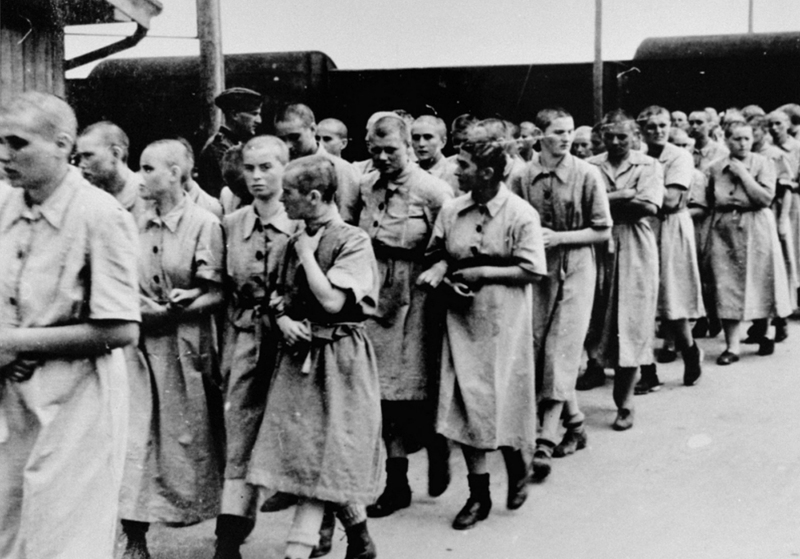 The new arrivals that survived the selection that took place on die Rampe were sent directly to a section known as ‘the Sauna’, where they were disinfected, shaved, stripped of their clothes and their valuables and tattooed with a number, which since then would replace its name before the camp authorities. 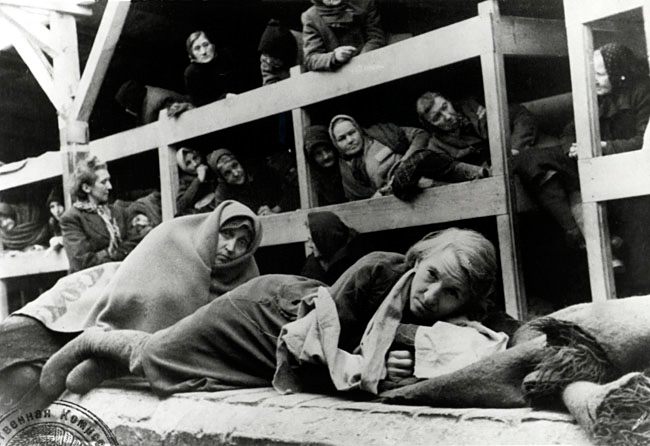 After this, the SS herded them to the quarantine zone, where they came in contact at once with the camp operation, including arbitrary punishments, absence of privacy and lack of health care. 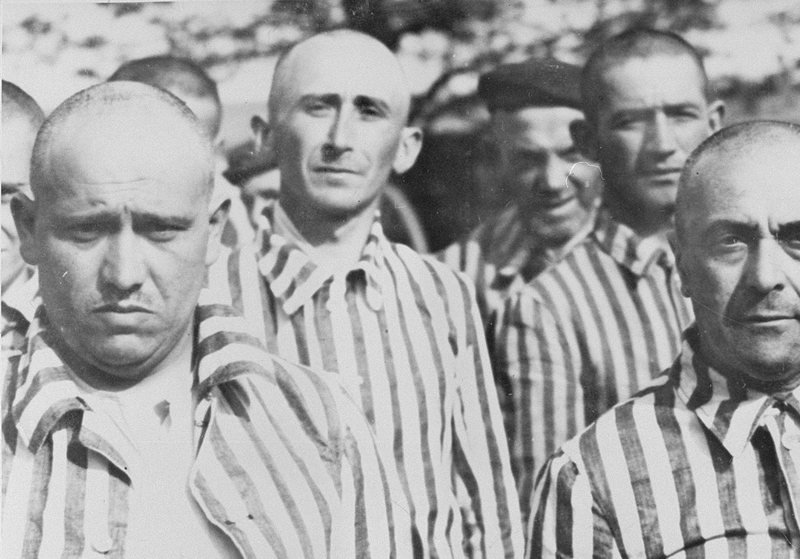 Jewish female and male inmates with their distinctive uniform, after being registered in Auschwitz. © Yad Vashem. 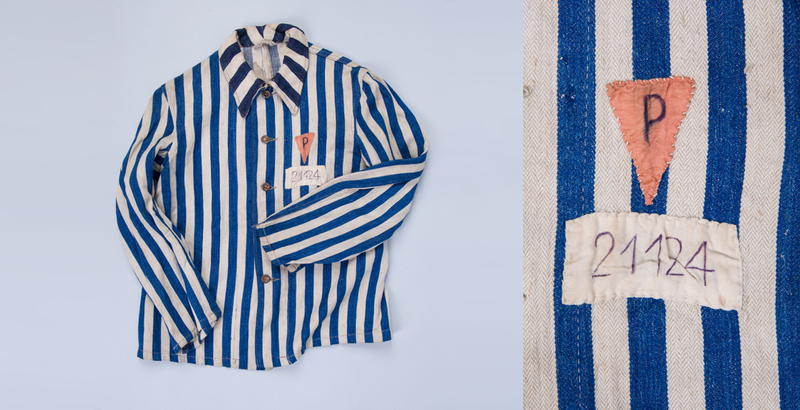 During their stay in Auschwitz, prisoners received only one ragged uniform and a pair of shoes or crude, uncomfortable clogs that caused serious sores to most of them and made them sick. They wore the same attire to work during the day and to sleep at night, and it was often lice-ridden. Out of ca. 1,3 million women, men and children deported to Auschwitz, only a little over 400,000 people received numbers and became prisoners of the camp. © Paweł Sawicki. This, added to the overcrowding of the camp and the hunger, caused contagious diseases as dysentery to easily propagate among prisoners, who were in no position to fight them. To make matters worse, Auschwitz inmates lived in fully unhealthy barracks scarcely ventilated and barely insulated from the extreme cold that was common in Oświęcim, where winters are particularly harsh. These primitive buildings did not even have a bathroom, but one bucket for the hundreds of inhabitants of each block. 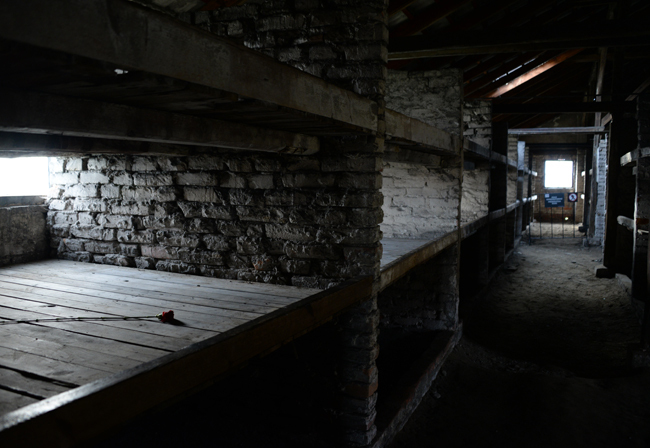 Interior of barracks in the Auschwitz II-Birkenau death camp. Up to six people slept in each of the beds that made up the 36 bulks built in a barrack. Left: © Paweł Sawicki. Right: Courtesy of National Archives and Records Administration.